For more than two decades, running for Congress in this sun-soaked capital of Cuban exiles has required two things: a Republican registration card and a hard line toward the Castro regime. 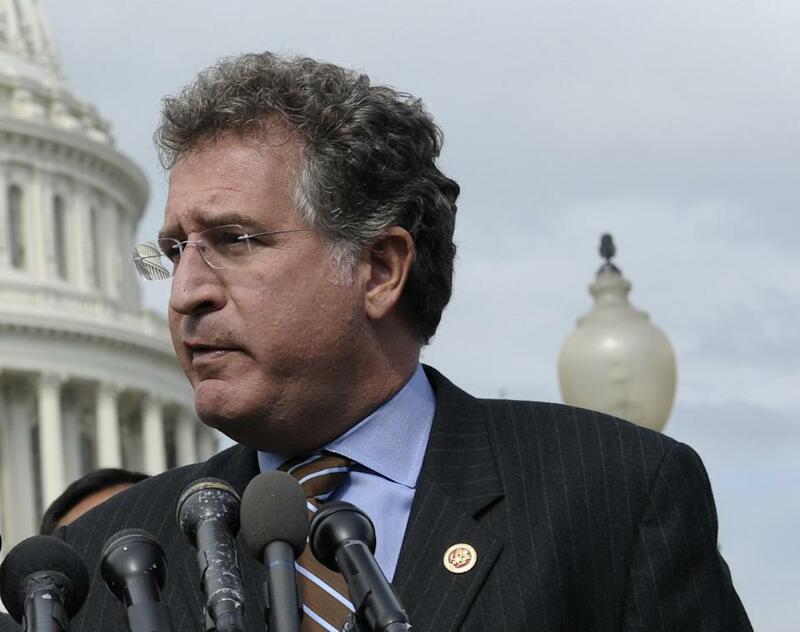 So when Joe Garcia became the first Cuban-American Democrat from the state to win election to the House in 2012, it signaled a crack in a critical GOP constituency. In a break with the exile community, Garcia campaigned in support of loosening restrictions on Cuban-Americans who want to visit relatives on the island or send them money. Since taking office, he has pushed for U.S. trials of a Cuba-developed diabetes treatment and for easing travel rules for Cuban diplomats who visit the U.S.
And while Florida Republicans, including Sen. Marco Rubio, fumed when President Barack Obama shook hands with Cuban President Raul Castro last month, Garcia dismissed it as a simple courtesy. “Sometimes a handshake is just a handshake,” he said. Not long ago, any gesture of comity toward Cuba’s communist government would have been greeted in Florida with a closed fist — or a car bomb. But three generations on from the revolution, Garcia represents a new breed of Cuban-American, more interested in pragmatism and reconciliation than regime change and isolation. That generational shift is at the heart of a realignment that could help change U.S. policy toward Cuba and reshape the political landscape in the country’s largest swing-voting state. In 2012, Obama captured nearly half of the Cuban-American vote in Florida, a record high for a Democrat. He has since pledged to “update” a U.S. policy that prohibits even the most basic business dealings with the island. Cubans now make up about a third of Florida’s fast-growing Hispanic population. For decades, they had voted reliably Republican, partly because of the party’s anti-communism tenets. Democrats, led by President John F. Kennedy, had also headed up the botched 1961 Bay of Pigs invasion, when 1,500 CIA-backed Cuban exiles tried but failed to overthrow the nascent Castro regime. In Florida, conservatives harbored plans for another armed incursion and dreams of returning to the island. But five decades of political stalemate have tempered that vision. Polls show new immigrants and younger Cuban-Americans are more motivated by domestic concerns, including health care, education and the economy, than by anti-communist fervor. A study by the Pew Hispanic Center found that Cubans are the Hispanic group most likely to say they have “only a little” or “almost nothing” in common with those living in their family’s native country. “You live here. You work here,” said Luis Diaz, a 33-year-old businessman from Kendall, as he sipped a cup of cafe con leche at La Carreta, a local Cuban chain. His family fled Cuba in the 1960s and 70s and are staunchly Republican, but he considers himself an independent. Republicans acknowledge the generational shift among Cuban-Americans but say recent election results are more a reflection of lackluster campaigns than political realignment. Mitt Romney, they say, failed to cultivate Hispanics. And Republican Rep. David Rivera fell to Garcia after he was dogged by state and federal investigations into his finances. Rubio, a Republican and the state’s most prominent Cuban-American politician, holds traditional hard-line views on the trade embargo and remains a popular figure in Florida. Garcia’s re-election campaign this year could be a potential test of how his divergent views on Cuba play among Cuban-Americans. The 50-year-old son of Cuban exiles, Garcia grew up in Miami when there was little tolerance for anything but the hardest of lines against Fidel Castro and the revolution. Car bombings of Cubans perceived as sympathetic to Castro were so common that they created a market for remote starters, “enabling the intended victim to watch what might have been his own incineration from across the street,” wrote Joan Didion in “Miami,” a study of the Cuban exile community. But his meetings with newly-arrived Cuban defectors helped soften his views. U.S. policy, he now says, hurts Cuban citizens and dissidents in particular. That brings him in line with many Cuban-Americans in Miami-Dade County. Florida International University’s most recent poll of that group, done in 2011, found that 44 percent of them opposed continuing the embargo, and 53 percent said it had not worked at all. Two decades ago, 80 percent favored the economic sanctions. Garcia said he supported allowing certain Cuban diplomats to travel outside Washington because American diplomats in Cuba can travel outside Havana and talk to dissidents. In recent months, Garcia has championed a pharmaceutical company that wants approval to test a Cuba-developed diabetes treatment in the U.S. Under the embargo, the federal government would have to license the therapy because it was developed by an arm of the Castro government. The move stirred the ire of exile leaders and Florida’s Cuban-American congressional delegation, who said it could give the Cuban government access to U.S. markets without making democratic reforms. Garcia dismissed the criticisms, saying the therapy could help prevent 70,000 amputations a year.